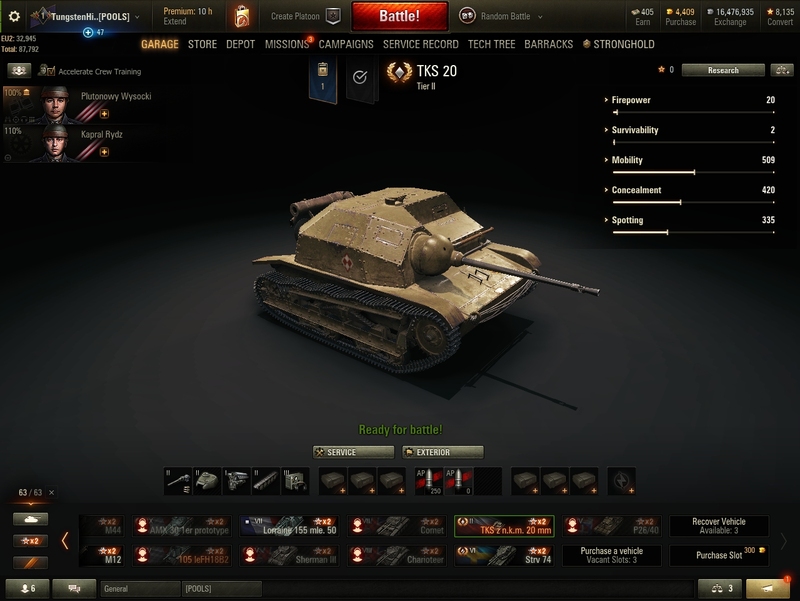 Get ready for the biggest World of Tanks tournament ever. Are you actually [edited]kidding me that some tier 1 event has bigger rewards than EU vs RU clan tournament? Nice. Soldiers of fortune event had the same gold pool as this tournament + hardware prizes worth several k's of euros and then showmatch was a side activity with a lower prize pool. Now comparing showmatch prize pool with this event's prize pool is wrong. Additionally, most of these rewards will be for viewers and not for participants with the accent on fun and it will be played across 2 days with significantly more games. Only german and east european streamers ... west countries don't stream ?? How is this given to viewers? I can confirm that Iceland doesn't stream. I don't know about the others. QB for UK, Zefeka for France, are there are very probably spanish and italien ones too. Well, Dakillzor sounds Belgian enough to qualify as one. But maybe the "west country streamers" are too worried that they might lose in a Tier I vehicle? Where's DezGamez, though? Or does he count as a video maker instead of a streamer? Streamers will be doing the raffles or similar on their channels. It's up to each streamer to decide how he wants to do it. I would like to see regular tournament like this -- also in tier 2 and tier 3 . Rewards dont need to be special but throw in some fun tournaments like this that we can play instead of watch . Tier 1 - 2 - 3 tournaments some also with bigger teams , with reserve players allowed . Does this tournament carry over onto Sunday? Because Sunday is Mothers day. You all have Mothers at WG don't you? You think tanks is more important than your Mom? do ya? DO YA??!! Wait till I tell your Mom about this. Oh look, SirFoch is in it. So he's no longer persona non grata? I never thought I'd see the day. Edited by ToodlePips, 27 March 2019 - 09:10 AM. They still look more to the east than elsewhere. No, they don't. Germany is a member state of the EU (so looking to Brussels), most important partner country is France. Eastern neighbours are very important, too, however, so this whole discussion is kind of moot. Edited by ToodlePips, 26 March 2019 - 08:21 PM. ... west countries don't stream ?? I can think of 4 who don't even play WoT anymore.